We’ve all heard that Samsung is currently toying with the idea of using foldable displays in their smartphones coming later in 2018. A new patent filing from the Korean giant has now revealed that the company is looking to bring back the slide-out design, but with a twist of their own. According to the patent applied at the US Patent and Trademark Office (USPTO), Samsung might be envisioning a phone with a slide-out display. The company is looking to replace the sliding keyboard that was hidden underneath with yet another touchscreen, in order to present users with a futuristic hand-held device with a retractable design. 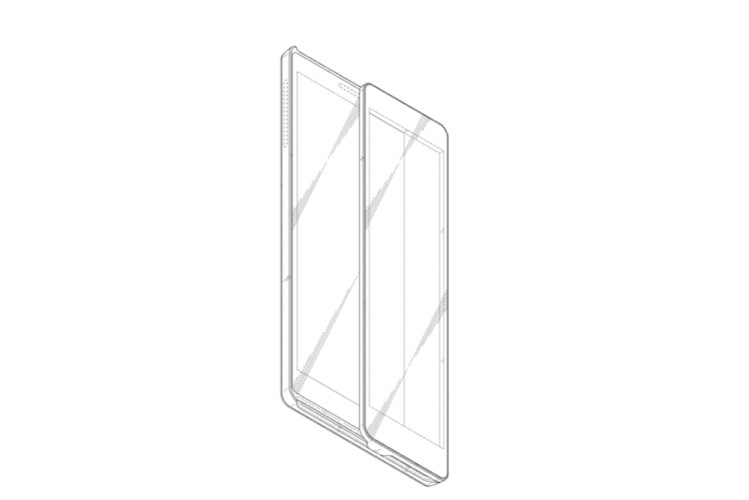 The collection of design outlines in the patent application shows a Samsung phone with a couple displays, separated by dotted borders. One of the displays is generally visible and it’s the one you interact with on the regular but there’s another display hidden under the front display. This secondary display can be extended to the side, so the total area becomes enlarged for better content viewing. Once you’ve pulled out the secondary screen from down under, you’ll notice that the main display is quite thin and will not lay flat with the screen underneath. There will possibly be a height difference between the two screens, but Samsung will have to eliminate any bezels to make this design work. Also, the difference in heights may not be preferred by users and ruin the experience of this innovative design choice. The patent diagrams also show that there’s no visible fingerprint sensor (maybe an under screen one) or home button and a single camera lens on the rear of the device. There are visible bezels on the top and bottom, but that may be eliminated with the direction that’s being embraced by Samsung of late. The two screen would most likely utilize the flexible OLED technology, while keeping its usual design aesthetics intact. The primary motive of this patented design is the usual, i.e providing consumers with a wider screen space for immersive content viewing and interactions, without having to switch to landscape mode on the smartphone. Also, hardware makers now want to pack more screen into a device of the same (or even smaller) footprint as modern phones in our pockets. 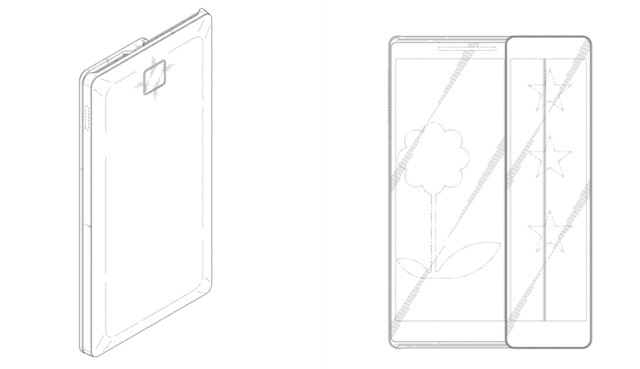 But mind you, this design is just a patent and Samsung may never end up making such a mass-market smartphone for users. The South Korean behemoth is, however, said to be extensively involved in the development of phones with a foldable display. Samsung has even talked about its work on foldable displays in its recent quarterly results and plans to show off the much-rumored “Galaxy X” device towards the end of this year. It has already given a glimpse of the said smartphone at a private gathering at CES earlier in January. So, are you excited for Samsung’s foldable phones from the future? Let us know your opinions down below.